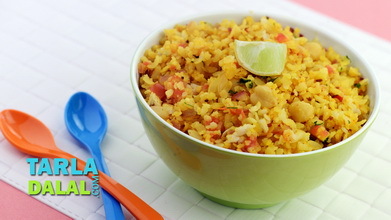 When kids get bored of the usual rotis in their tiffin box, you can make an exciting snack with crispy khakhra instead! 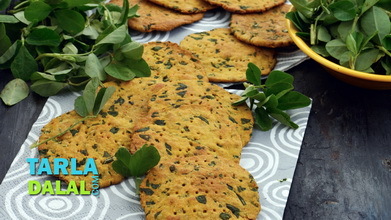 Made with wheat flour, khakhras are quite as satiating as rotis but can be quite thrilling for kids to munch on. 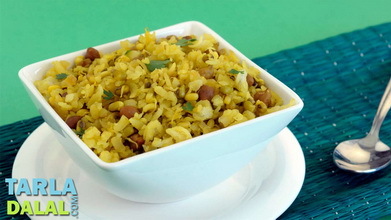 Here crushed khakhras are pepped up with roasted chana dal, peanuts, cashewnuts, sev and other interesting ingredients, which will make the taste buds – and of course, your kids – to jump with joy. 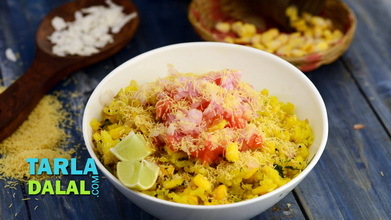 You can make a large batch of this Khakhra Chivda and store it in an airtight container for 5-6 days, ready to send in the tiffin box anytime you wish. 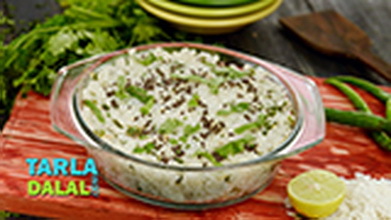 It can come in really handy on hurried days when you don’t have time to prepare an elaborate tiffin. Moreover, your kids would love it too! 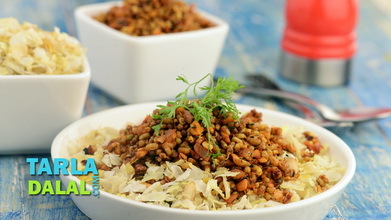 When the seeds crackle, add the asafoetida, roasted chana dal, peanuts and cashewnuts, mix well and cook on a medium flame for 1 to 2 minutes or till the they turn light brown in colour, while stirring occasionally. 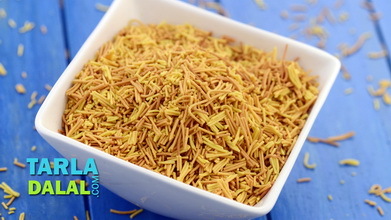 Add the curry leaves, turmeric powder and chilli powder, mix well and cook on a medium flame for a few seconds. 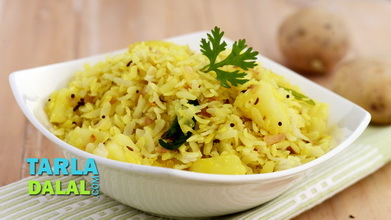 Add the khakhra, mix well and cook on a medium flame for 1 minute, while stirring continuously. Switch off the flame, add the salt and powdered sugar and mix well. Keep aside to cool completely. 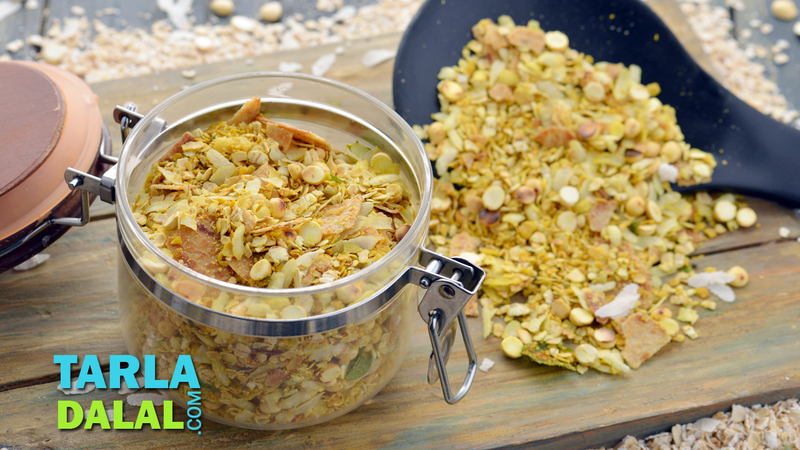 Store in an air-tight container, and pack in an air-tight tiffin box.